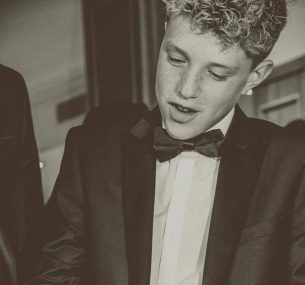 Harry is one of a twin, his non-identical brother Luke weighed 6lb and Harry a very healthy weight of 8lb 4oz when they were born. It was when Harry was in hospital at a few weeks old with croup that doctors first noticed that he didn’t look ‘normal’. 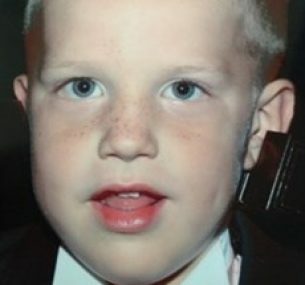 On follow up appointments and after blood tests proving positive, it was confirmed that he had Beckwith-Weidemann Syndrome, an overgrowth disorder. The main problem for children with this syndrome is that they are at an increased risk of Wilms’ tumour, a type of kidney cancer. Harry would need to undergo regular scans until the age of eight to monitor him. 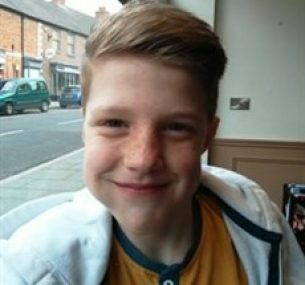 During a routine scan at our local hospital in Grantham, there was slight evidence of a tumour in Harry’s right kidney. The next day we were in Queen’s Medical Centre in Nottingham and Harry was having another scan and then a CT scan. It was this day we met our amazing consultant. They could see the mass more clearly and unfortunately with Harry’s medical history, it was looking like it was a Wilms’ tumour. The following two weeks were a blur of doctor and consultants meeting, biopsies and then the results appointment. And on that day my mum and I sat and waited as the consultant ran two hours late! When he came to call us in from the waiting room, he winked at me and for a second or two I thought ‘we are fine, it’s benign’. But once in the room, any hope was shattered as he confirmed it was in fact a Wilms’ tumour. The appointment passed in a blur. I remember walking down the corridor to the lift crying so much I couldn’t get my words out to speak clearly on the phone to my husband. That night I sat all three children down and explained that Harry had cancer and the doctors were hopeful that with treatment and operations he would be fine. The next morning I had to go into school to explain to the teachers. And then that afternoon – less than 24 hours after diagnosis – Harry was taken to theatre to have a central line put in under general anaesthetic. 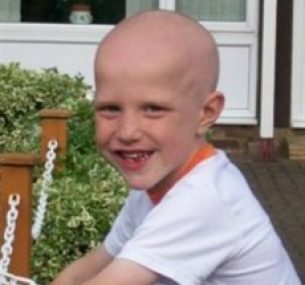 When he was back on the ward, Harry started his first course of chemotherapy. 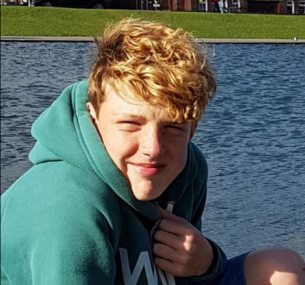 He had four weeks of treatment and when the consultant was satisfied the tumour had shrunk enough, Harry had his kidney removed. It was a huge operation but he came through so well. The tumour had actually burst out of the kidney and they graded it stage three. Because of this, it was decided that Harry would need a further six months of chemotherapy. But partway through this second course, they were concerned that there was still some cancer in a drainage tube, so as a precaution he would have two weeks of radiotherapy too. All the treatment came to an abrupt end when Harry developed septicaemia. He was so poorly and spent three weeks in hospital. They tried drugs to fight it but it was in the line so he went to theatre to have the line removed and his final chemo in the back of his hand. It was awful for him as the drugs burnt his skin and his hand swelled. My husband Paul stayed with him and I visited every day and ran the home, worked part time and looked after Luke and our older daughter Olivia. I had fantastic support from my mum, my father was very poorly himself and being housebound couldn’t visit, but was of wonderful support too. It was so devastating for them to watch Harry so poorly. I had support from an amazing friend too and if Harry was poorly or had a temperature she would drive him to hospital or come and visit if we were in. One of Harry’s drugs made him so sick. To avoid being in hospital for three or four days, the community nurses visited us three times a day at home to administer IV drugs while we tried to keep some kind of routine for Olivia and Luke. One weekend Harry was so angry and felt so rotten he shouted at me that he knew he was going to die – it broke my heart. If I could have taken the illness for him I would have done it in a heartbeat. Someone once said to me everything happens to us for a reason, but still to this day to send a child to hell and back I will never get my head around. Harry managed three/four days a week at school while he was poorly and was even given a bed to lie on in the corner of the class room should he need a rest. He has been three years clear of cancer, we were told two years would be a huge hurdle. I feel that in a lot of ways Harry has a maturity beyond his years, because of what he has had to deal with and the communication he has had to have with doctors and nurses; all this I believe took part of his childhood away. But having said that he has the best attitude, such a happy boy, full of spirit. And as a family we now appreciate the simple things in life and don’t take things for granted. This photo was taken of Harry in the summer at a family wedding. Harry continues to do well and is seen twice a year at hospital. He’s had to have his gall bladder removed as he had gall stones. They believe this was because his radiotherapy touched the gall bladder. Harry’s chosen his GCSE’s. He particularly loves racket sports such as badminton and tennis. He also plays football for a local team. Harry is currently in Year 10 and thriving at school. He still loves his sport, especially tennis, badminton and football. He is now also under the care of a late effects Clinical Nurse Specialist, who is lovely. He has to have heart checks due to the radiotherapy and chemotherapy he had. He also has been advised in how to look after and protect his one remaining kidney; it is quite large and heavy, therefore more vulnerable to injury. He’s 5ft 9′ tall and estimated to reach just over 6ft. Not bad going considering we were warned the radiotherapy may have reduced his predicted height by two inches.